British Dressage (BD) was naturally disappointed to receive the news from the organising team at the London Spring International (ExCel, April 12 – 17) of their decision to cancel this year’s event. The ExCel Executive Board, show organiser Daniel Watson and their teams have put in a tremendous amount of work to get their venture this far, for which BD is very grateful. The second batch of Charles Britton Equestrian Construction Winter JA Classic Qualifiers took place at Addington Manor Equestrian Centre in Buckingham recently and it was Bobbie Heath and Antonia Platt who forged ahead of their competitors to take a victory apiece after producing careful clear rounds on board their respective rides. 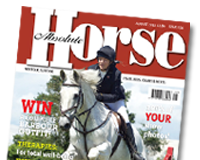 As part of a fifty strong starting field, each and every rider was vying for a sought after qualification spot for the prestigious Charles Britton Equestrian Construction Winter JA Classic Championship, which will be held during the British Masters International Horse Show, also at SouthView Equestrian Centre (30th June – 2rd July 2017). Over a technical course, the starting line-up was whittled down from twenty-three to just four talented combinations and it was 15 year-old Antonia Platt from Chelmsford, Essex who took victory. 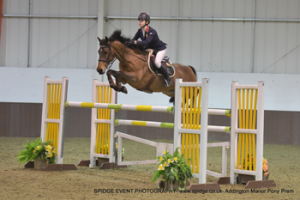 Riding Rosalind Platt’s 11 year-old bay gelding, Carnhill Luna, this combination were able to deliver a precise and speedy treble clear in 35.62 seconds. Madison Jamison aged 16, from Blackburn, rode Bodyssee Des Avelines, a 10 year-old dark bay mare owned by Nicola Jamison straight into second place. This combination produced the only other treble clear of the class in 38.32 seconds. Third spot was taken by Nicole Lockhead Anderson from Banchory in Aberdeenshire. Nicole rode Didy Morgan’s 9 year-old piebald mare, Pochantas and she finished on a total of 4 faults after an unfortunate knock of a pole at the final fence.